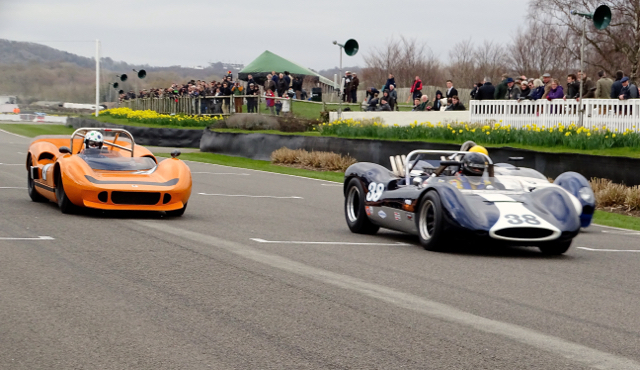 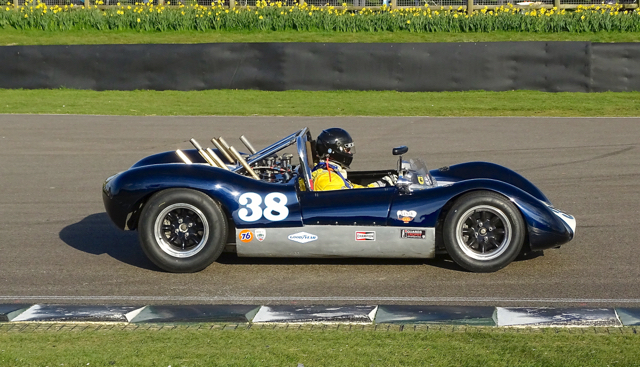 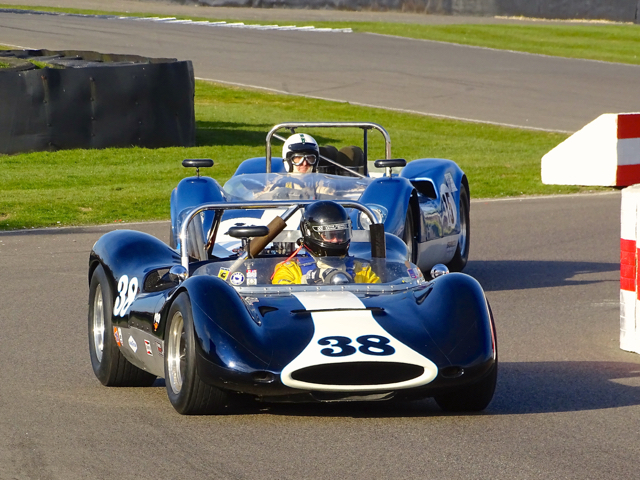 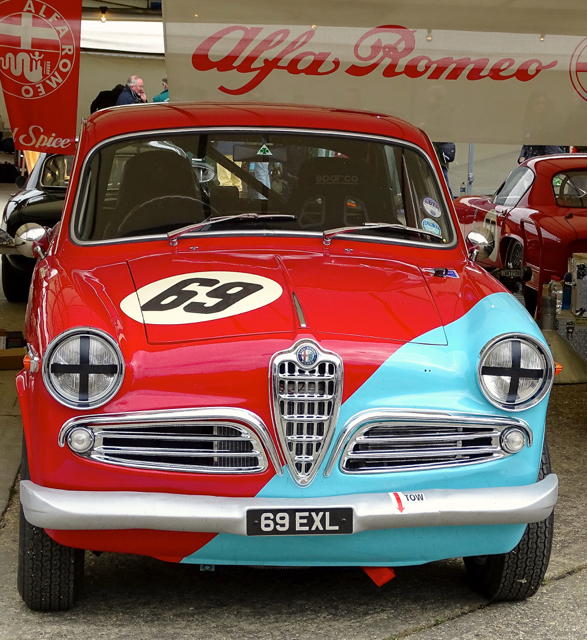 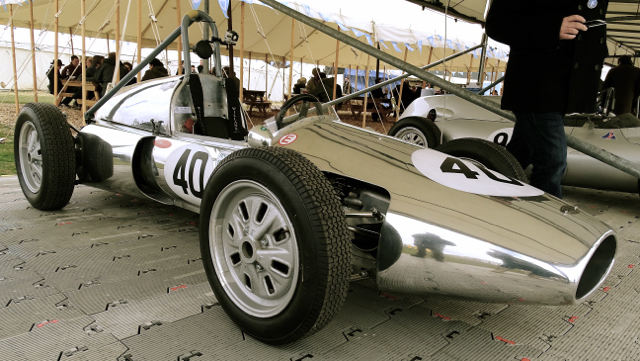 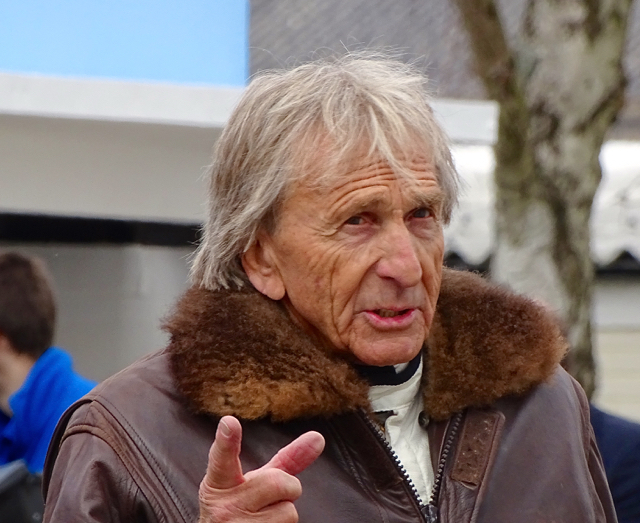 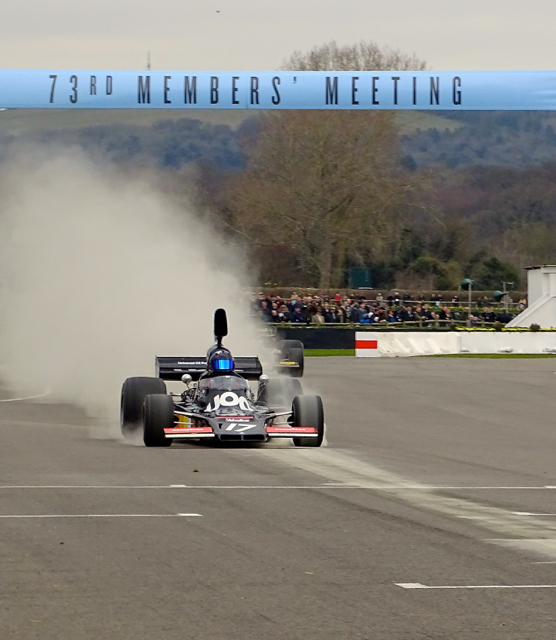 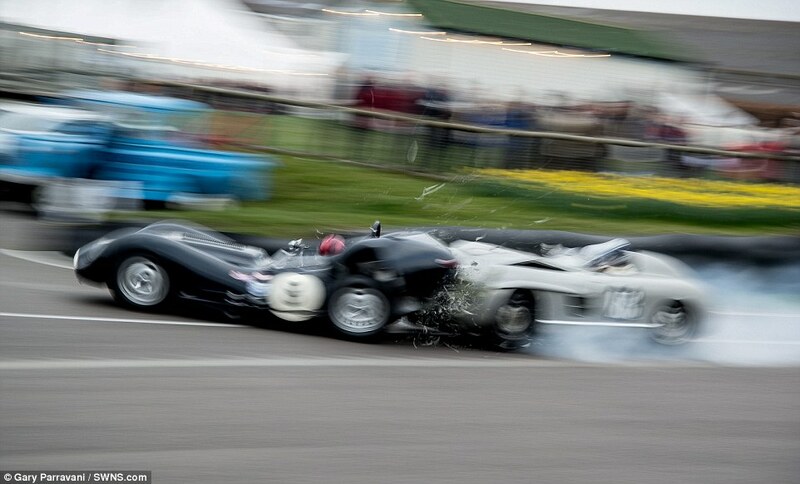 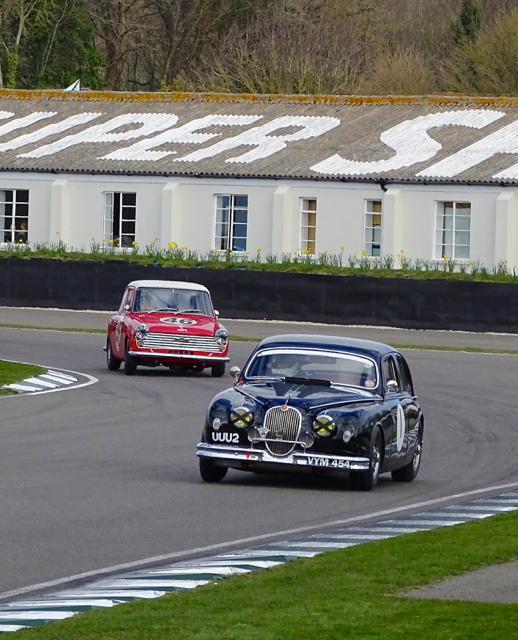 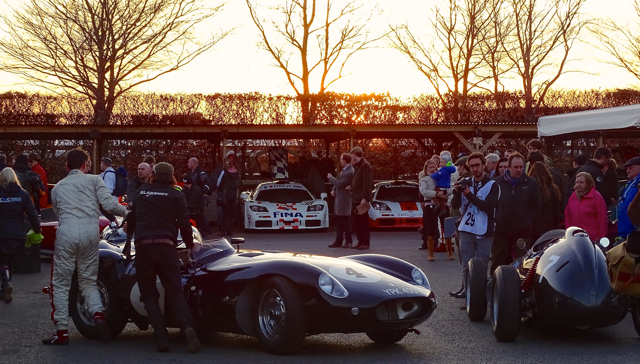 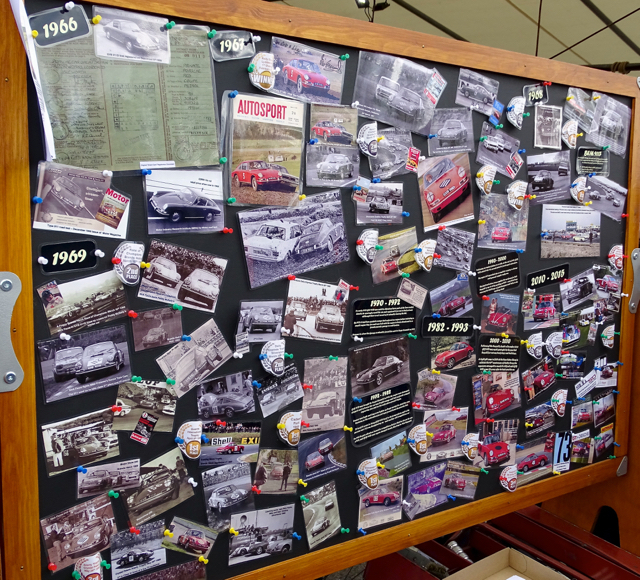 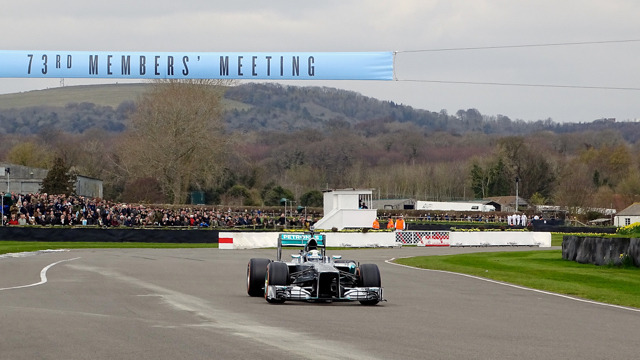 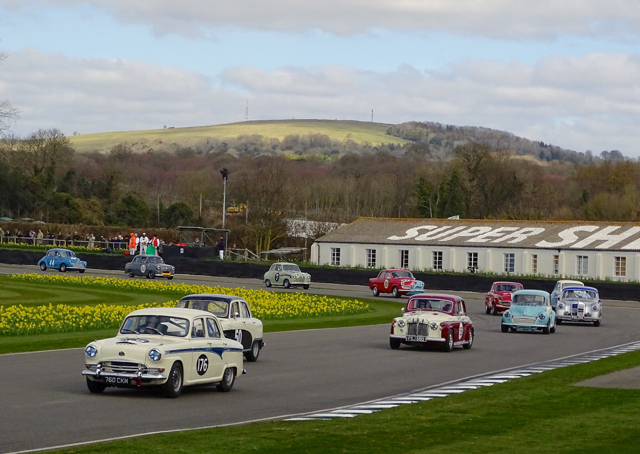 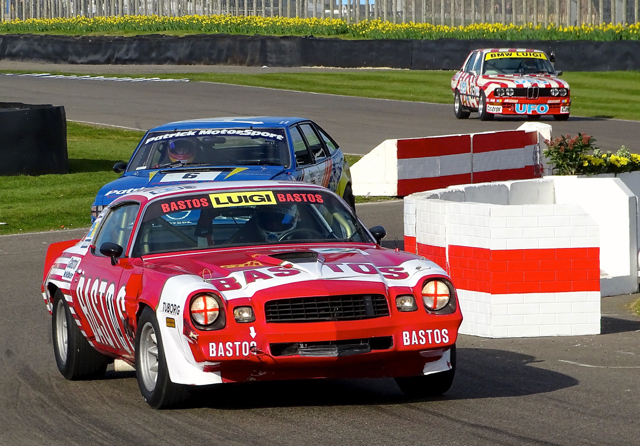 This weekend was the 73rd Goodwood Members meeting, the second in the modern day format, a continuation of the 71 club meetings run in the 50’s and 60’s for BARC members and it was another triumph for the Goodwood team. 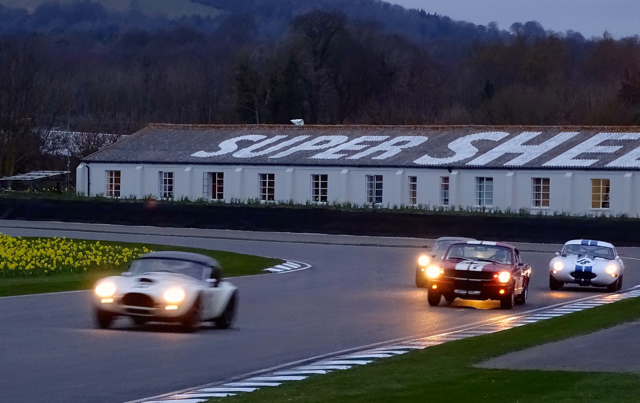 Poor Mario was left at home as unlike last year we hadn’t been able to secure parking within the circuit and it didn’t seem worth getting him out of hibernation to sit in a field, plus the lights are useless and it would be dark for both journeys home. 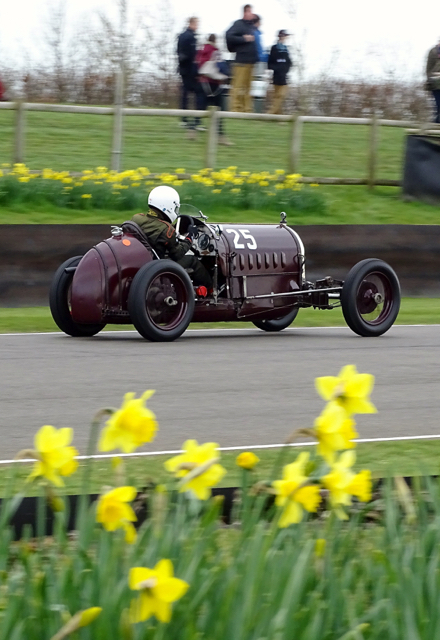 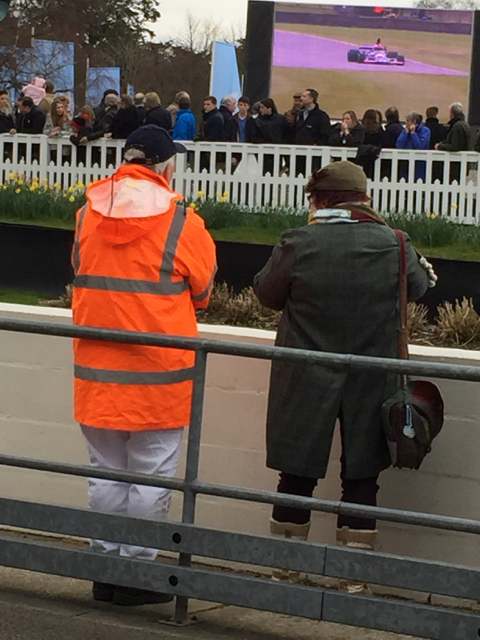 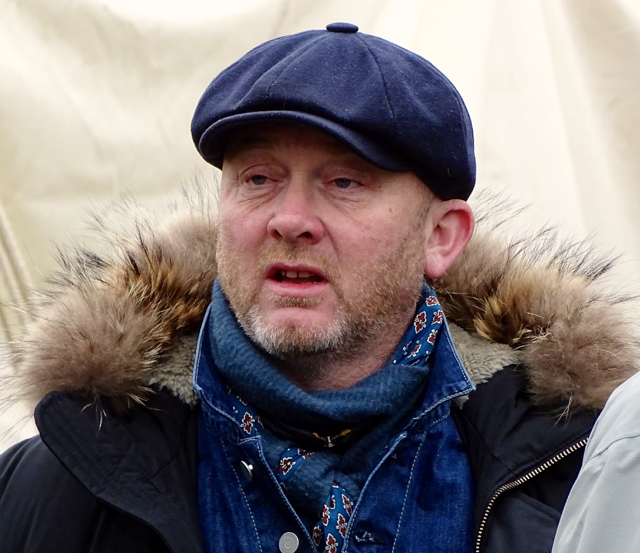 Yet again the Goodwood magic worked and for a March weekend the weather stayed dry and fairly bright although the wind was perishing on Saturday, forward planning and lots of layers meant we managed to stay reasonably comfortable. 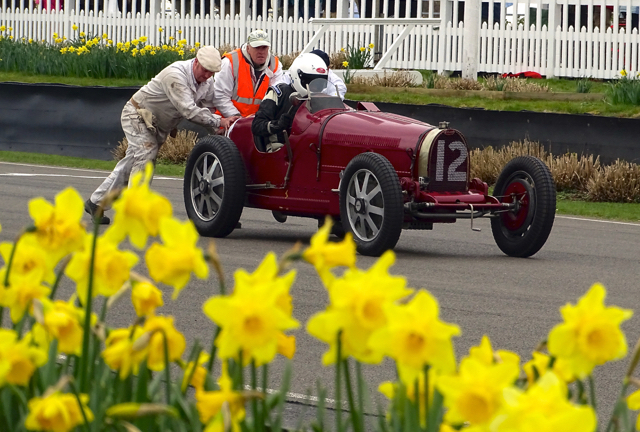 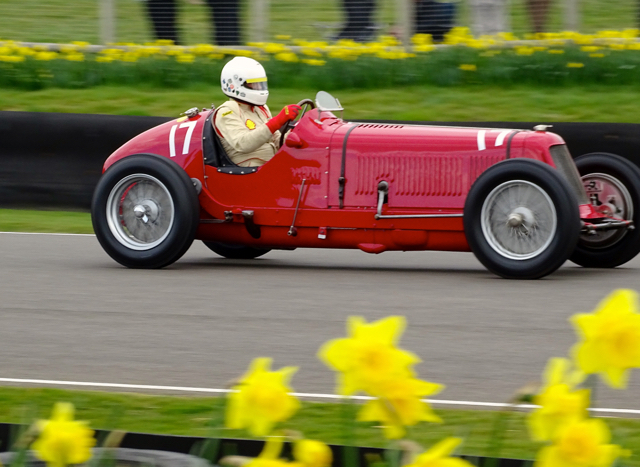 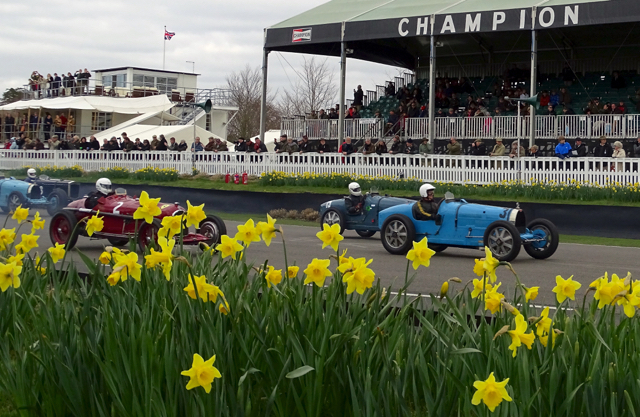 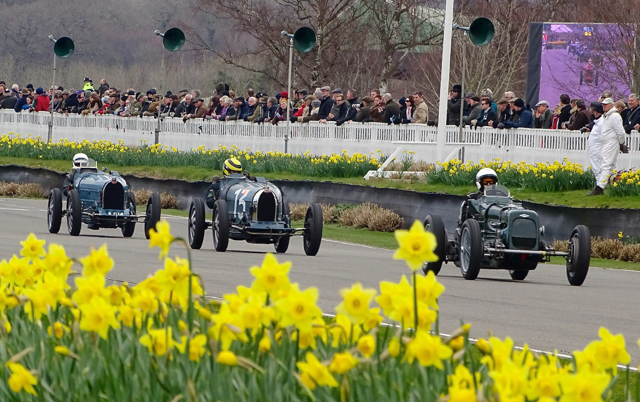 The circuit looked amazing with an ever increasing number of daffodills surrounding the track. 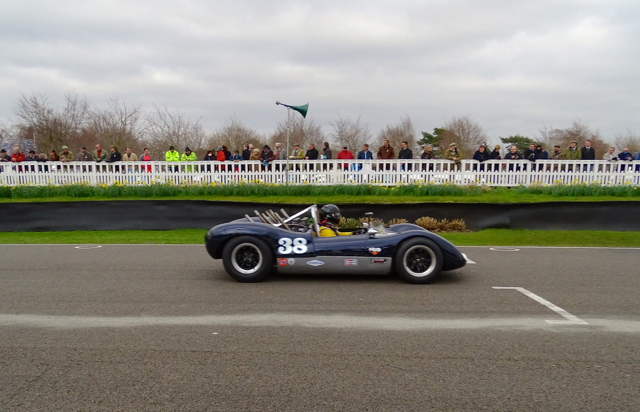 This year we had the added interest of our friend Adam having an entry in the Bruce McLaren Trophy in his 1964 Huffier-Chevrolet Genie Mk10. 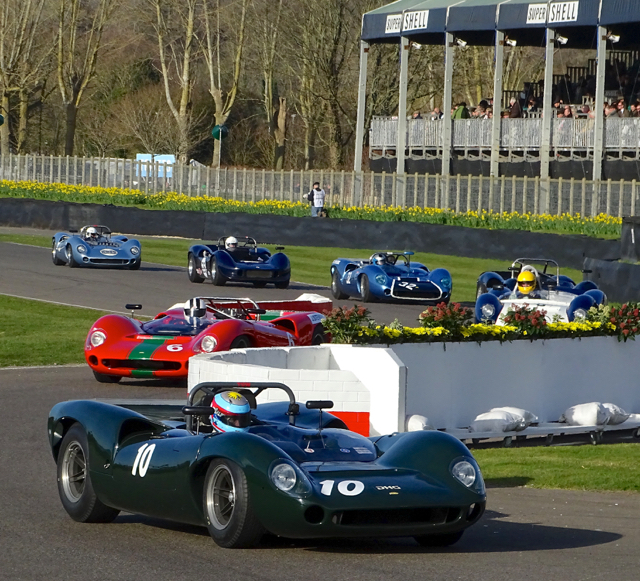 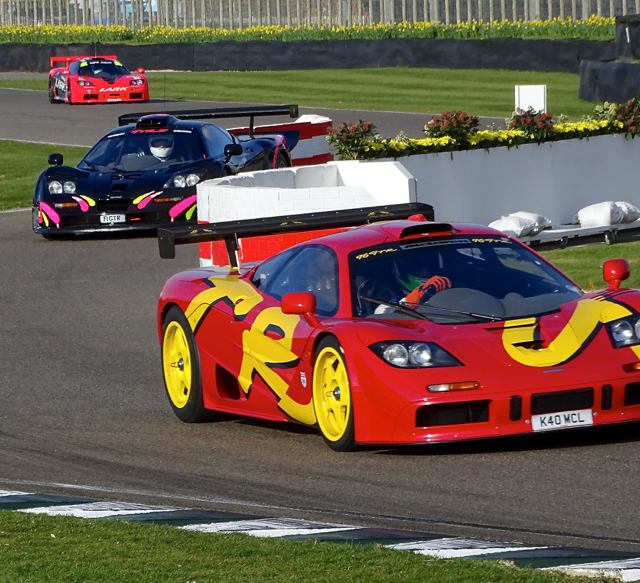 This class for the real beasts of motorsport were the fastest on the track with the front runners breaking the lap record. 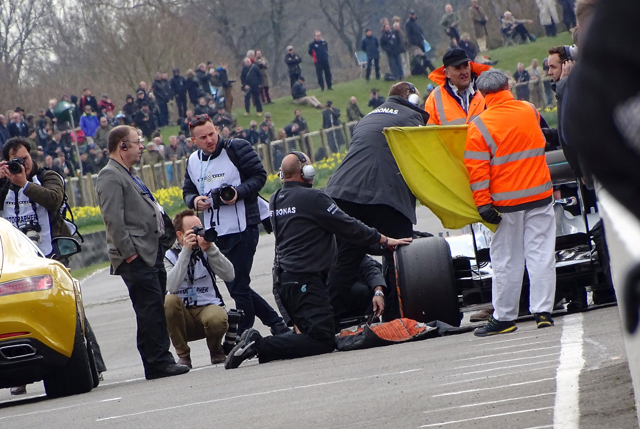 The big benefit of being part of his ‘team’ was that we had access to the pit wall. 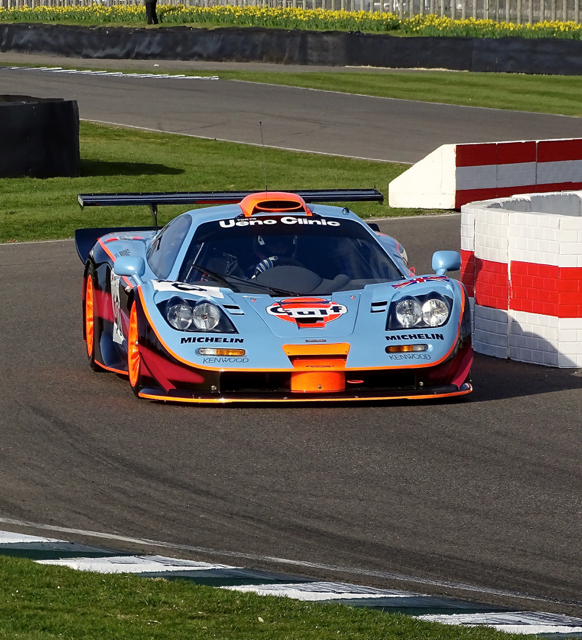 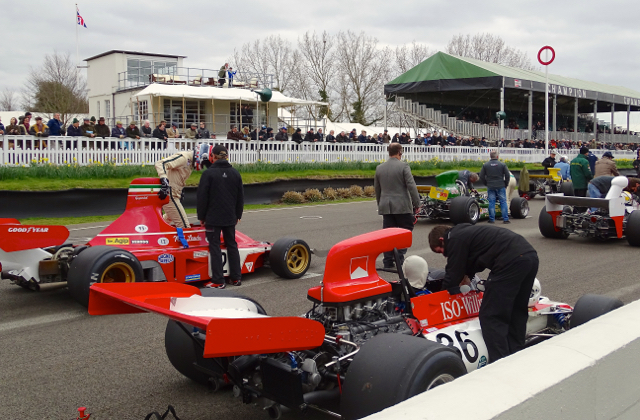 Saturday was mainly practice/qualifying interspersed with some high speed demos and the first three races. 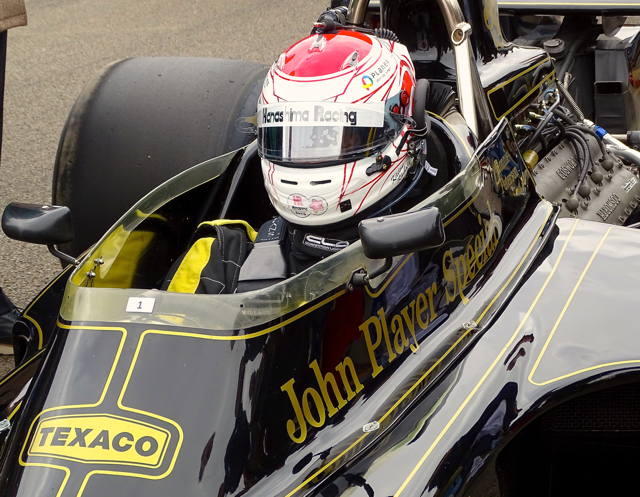 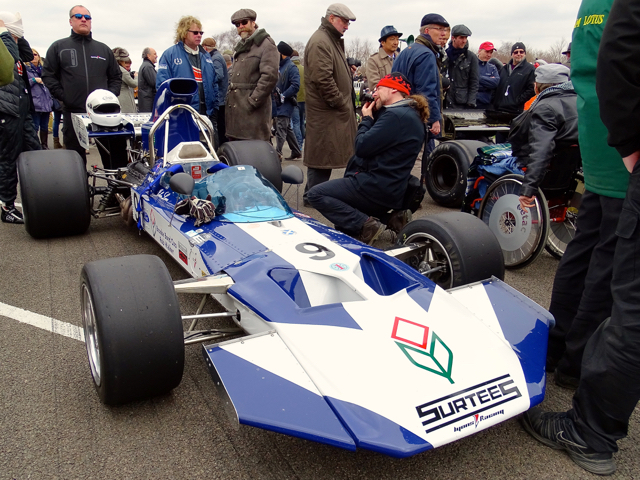 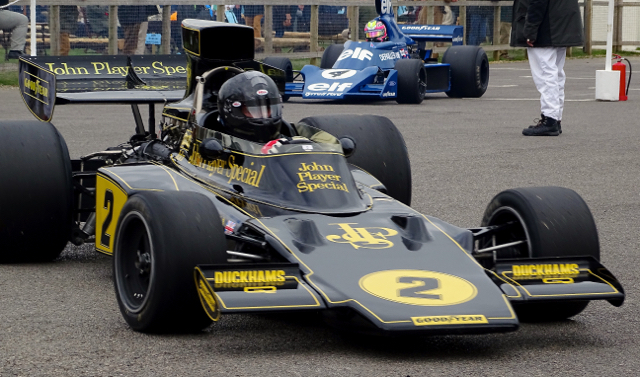 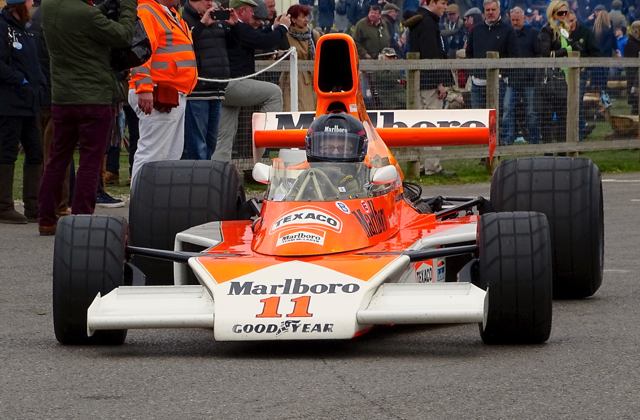 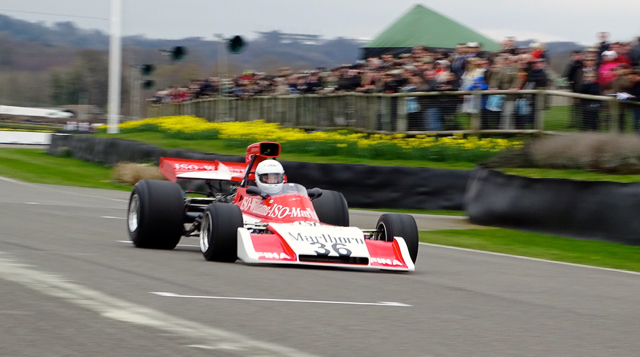 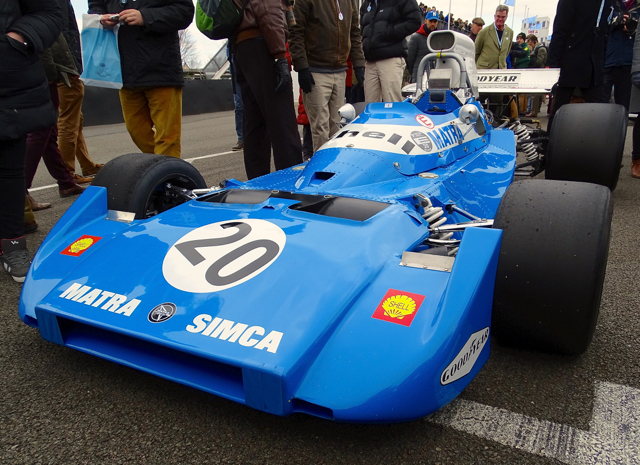 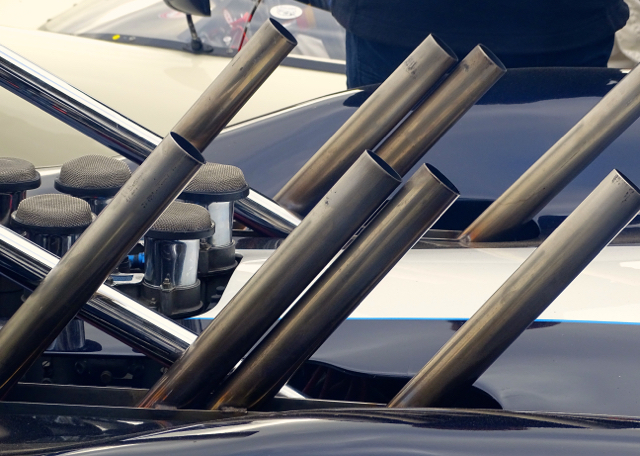 It was great to see the high airbox Formula One cars from the early 70’s on the track. 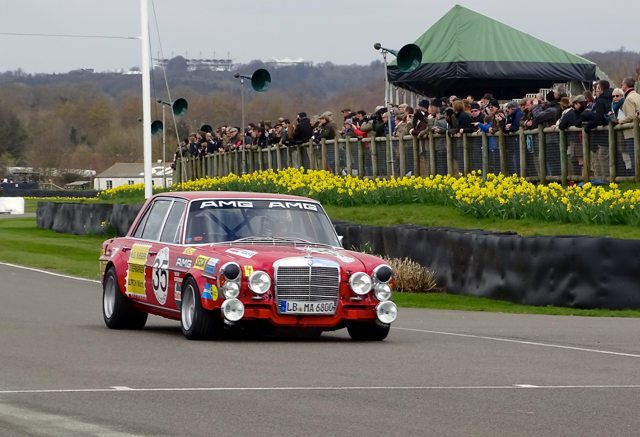 There was also a shoot out between a 1971 Mercedes Benz W109 300 SEL 6.8 AMG, the brand new Mercedes-AMG GT S and the 2013 Mercedes AMG Petronas F1 WD4. 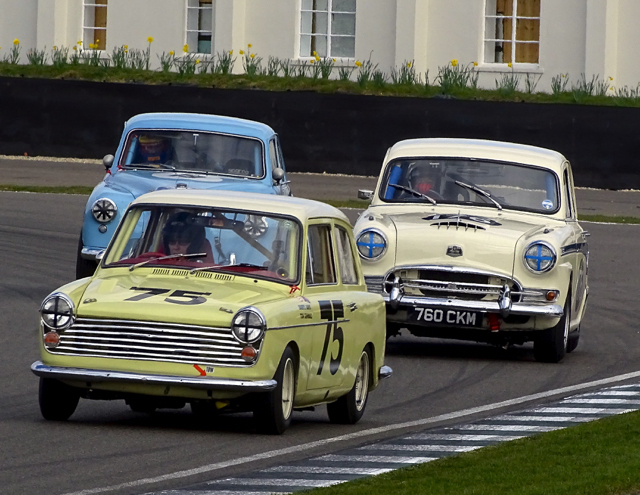 There was a handicapped start with the idea that they would all cross the finishing line together but it all went a bit wrong. 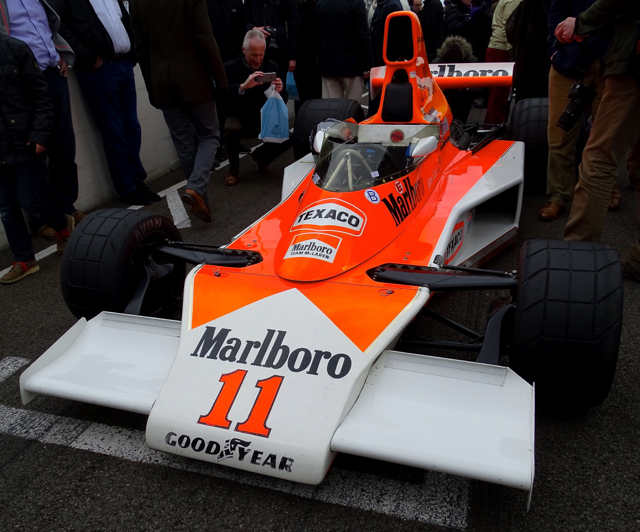 However it was great to see the modern F1 car on the track the first time a ‘current’ F1 car has been on the track in a generation – it was amazing how many people had to be involved to get it going though! 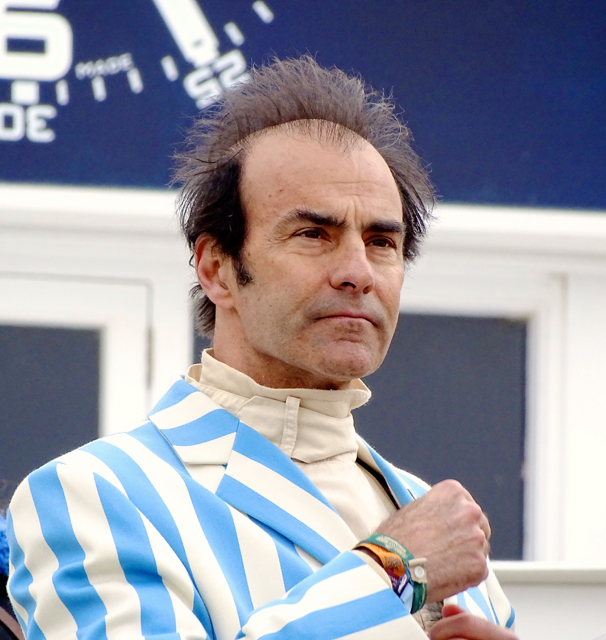 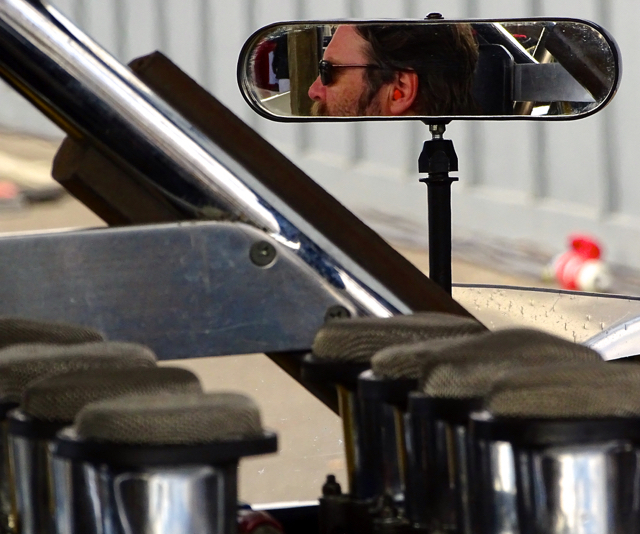 Emanuele Pirro our team captain for Torbolton watching the grid line up for the Gerry Marshall Trophy. 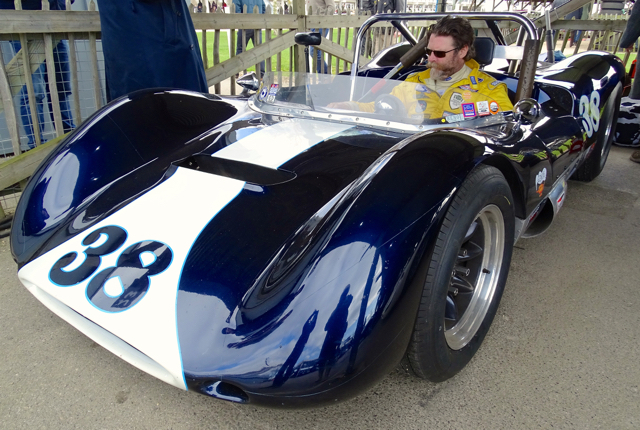 It wasn’t long before we were in the holding paddock with Adam waiting for his qualifying session. 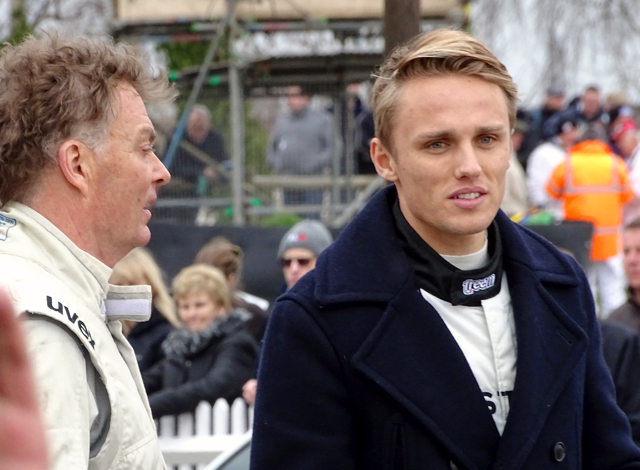 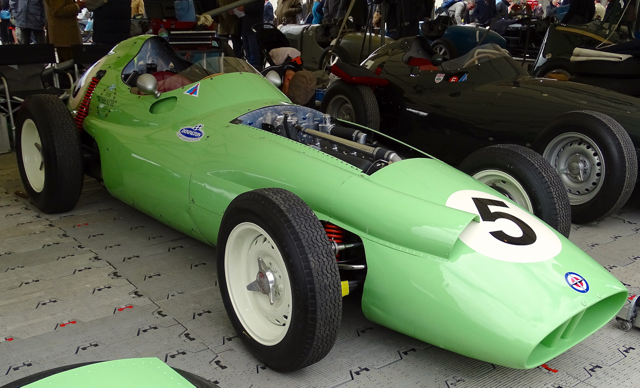 Ex Marussia F1 driver Max Chilton wandered through, he also raced at the Revival last year. 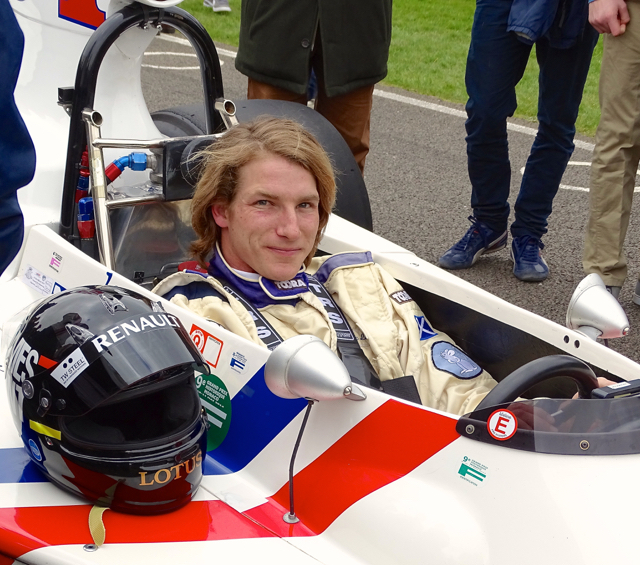 Adam’s car is pretty unique and a bit of a beast – a very noisy one! 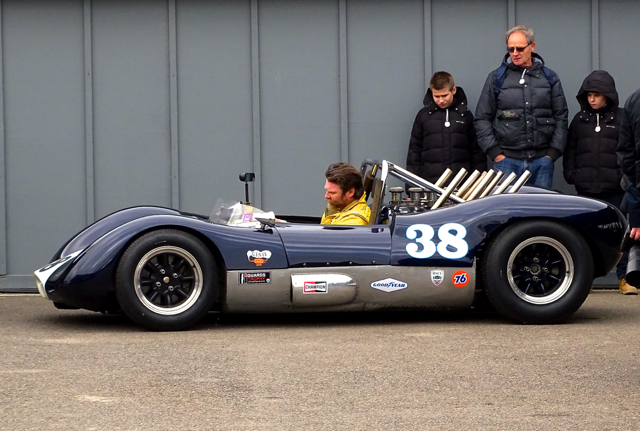 He only got it quite recently and has only driven it a couple of times at slower circuits. 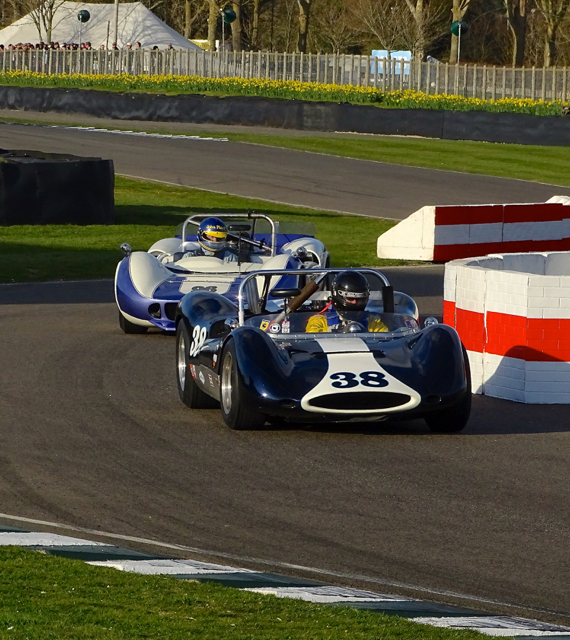 The car is also a 1964 in a class open to 1966, development was so quick in that era that the Huffaker is quite slow in relation to a lot of the field. 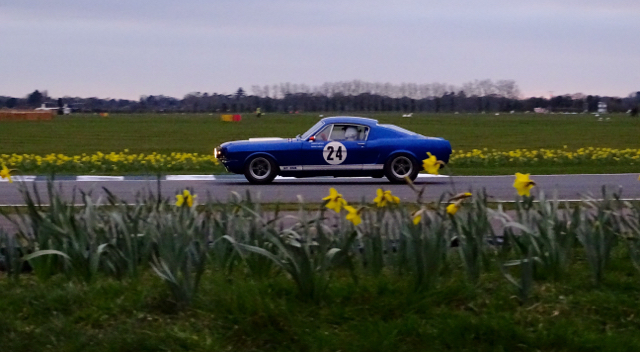 Adam managed to have an uneventful session while several of his competitors pulled out. 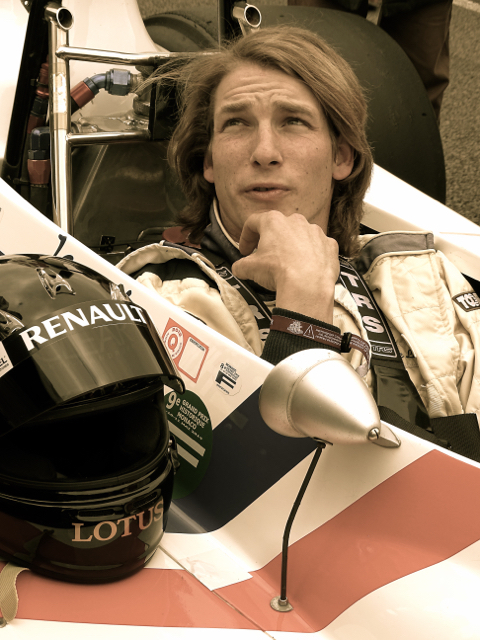 While we were waiting for Ad to change, Mario’s mate Jochen Mass came along and posed for a quick pic, he was out qualifying in the Salvador cup in a Mercedes 300SLS Porter special – unfortunately he was involved in a very large smash with a Lister Jaguar. 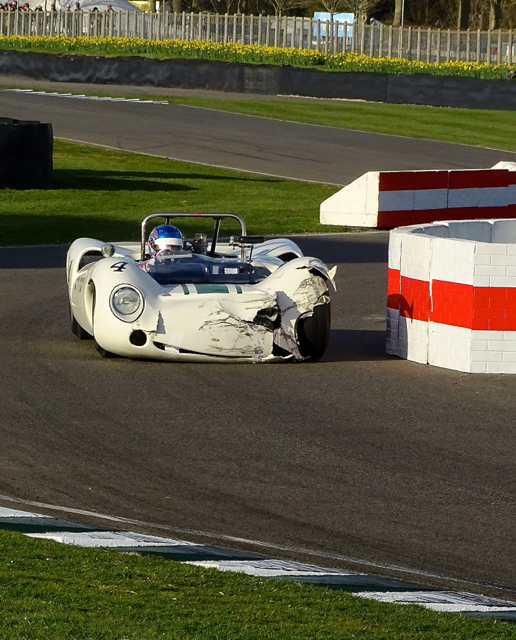 We didn’t see the incident, at the entrance to the pits but luckily both drivers were uninjured, although it was the end of their racing for the weekend and I certainly wouldn’t want the repair bill! 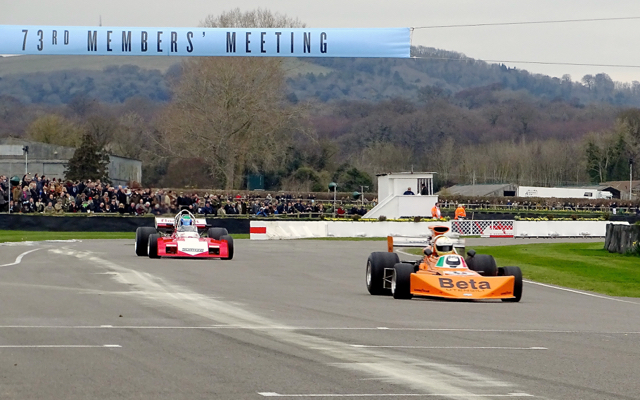 The accident delayed proceedings and being March, the light started to fade quite early, so the last race of the day, the Graham Hill Trophy took place as it was getting dark. 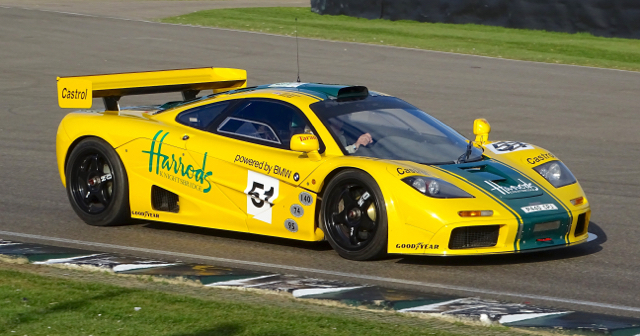 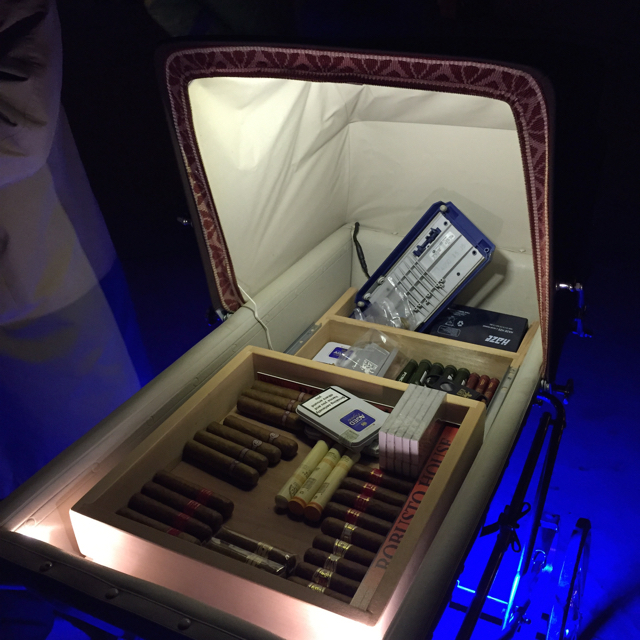 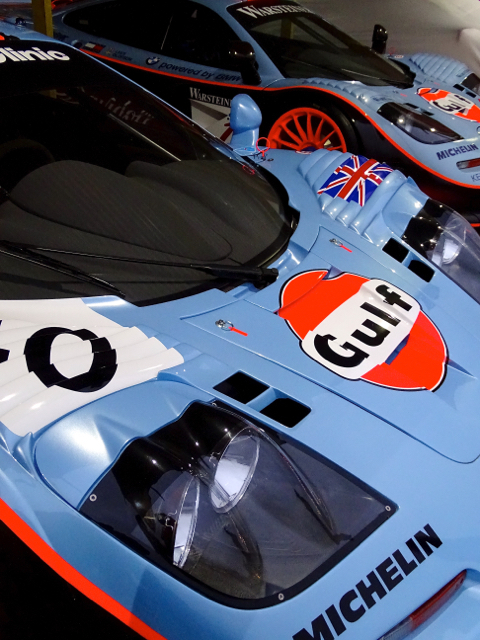 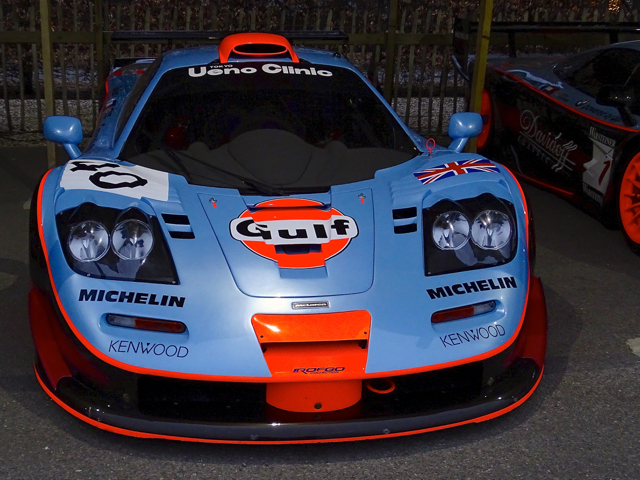 I love Goodwood in the dark, the paddocks are very atmospheric and the Gulf McLaren F1’s looked fantastic illuminated with LED’s. 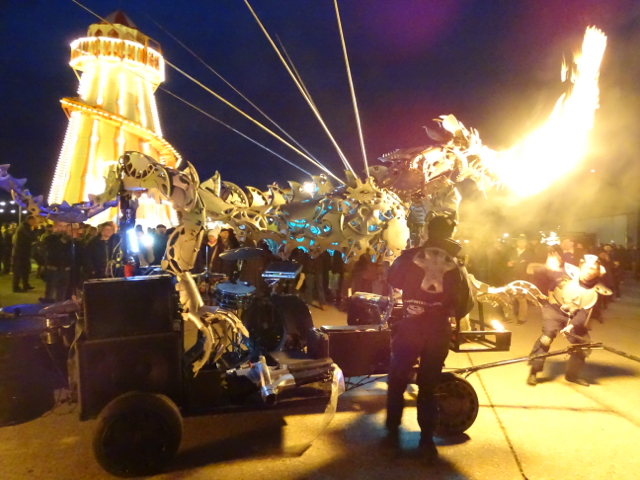 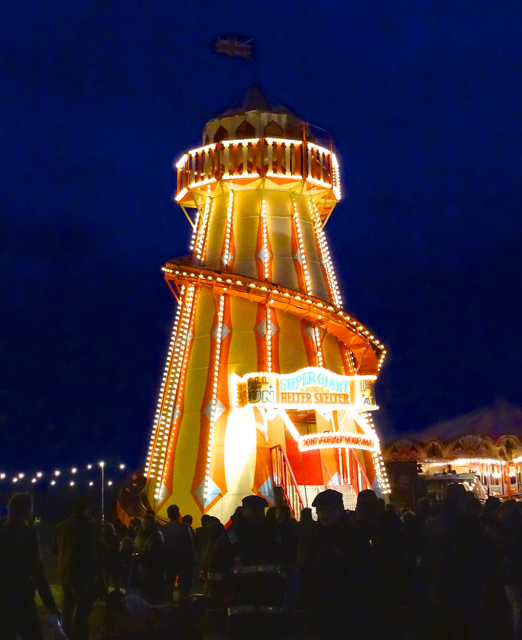 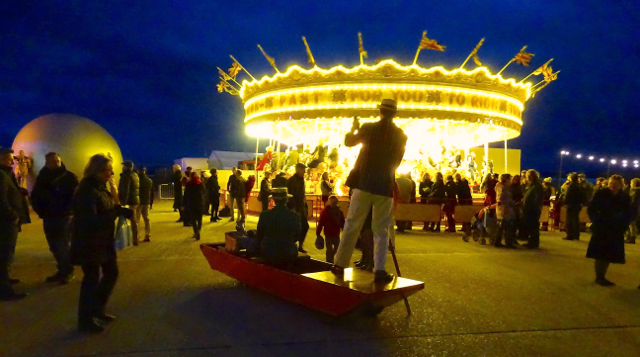 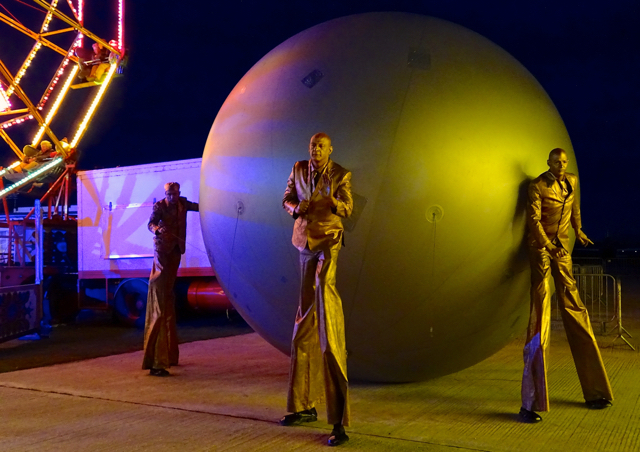 The big difference with the Members Meeting is that on the Saturday evening there is a party open to all, held on the edge of the airfield and utilising the ‘Great Hall’ and other hangers it it a colourful noisy burst of fun with rides, wacky entertainers, music, food and bars. 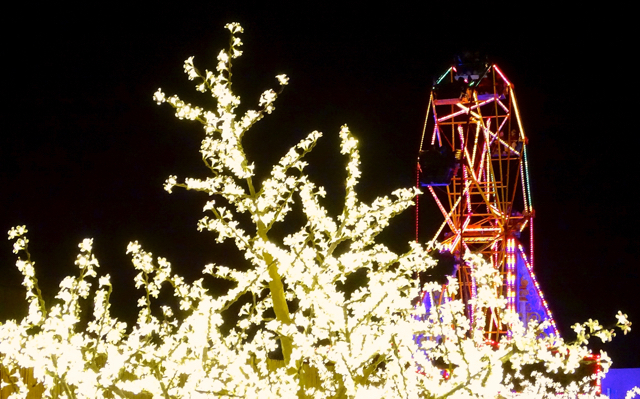 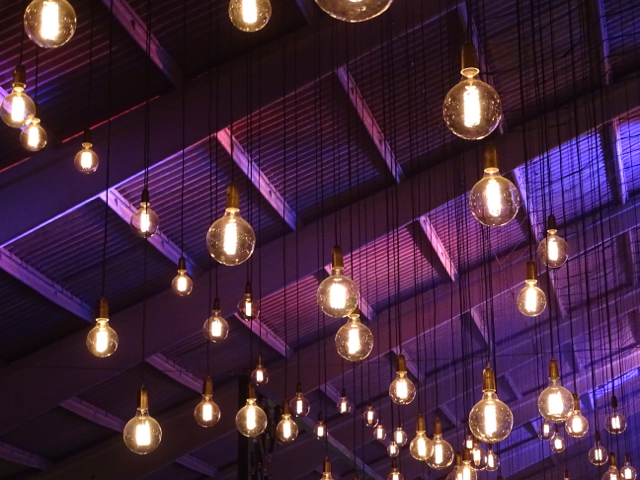 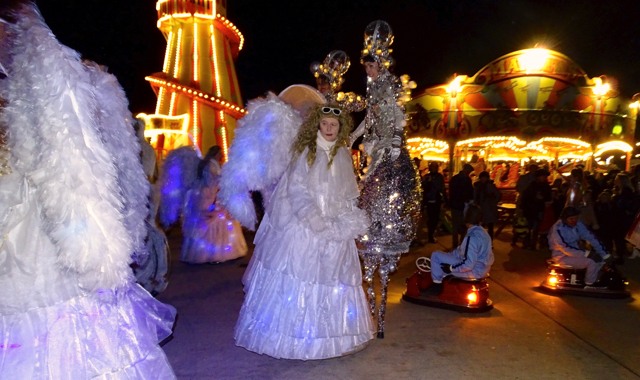 This year you entered through an ‘enchanted forest’ of light trees which was quite magical. 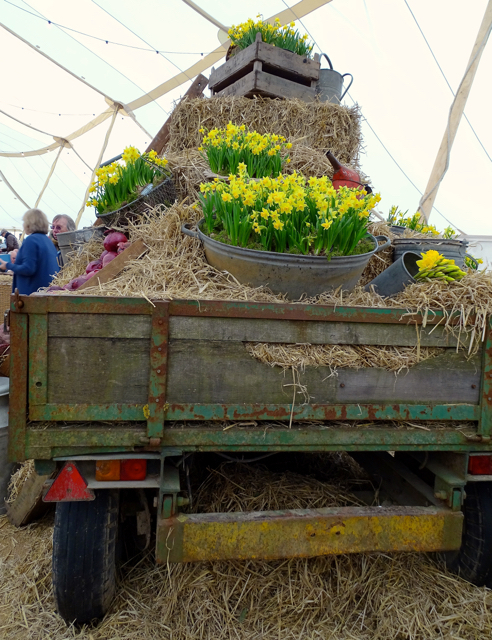 Although still very cold the wind had dropped a little and there were fire pits to sit round. 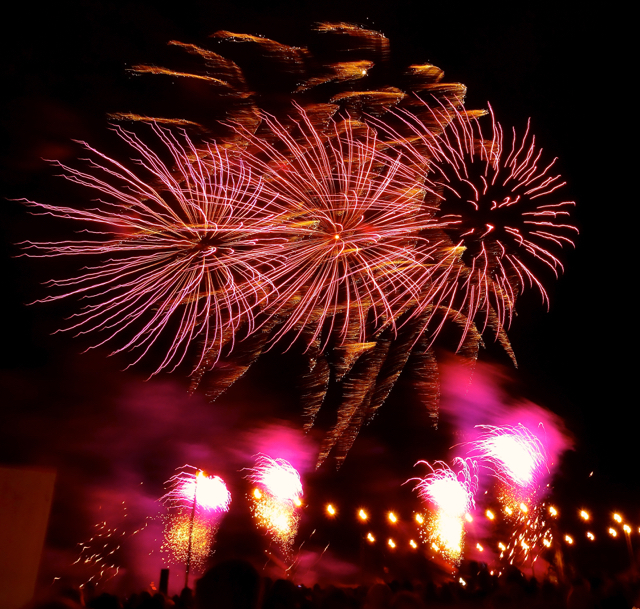 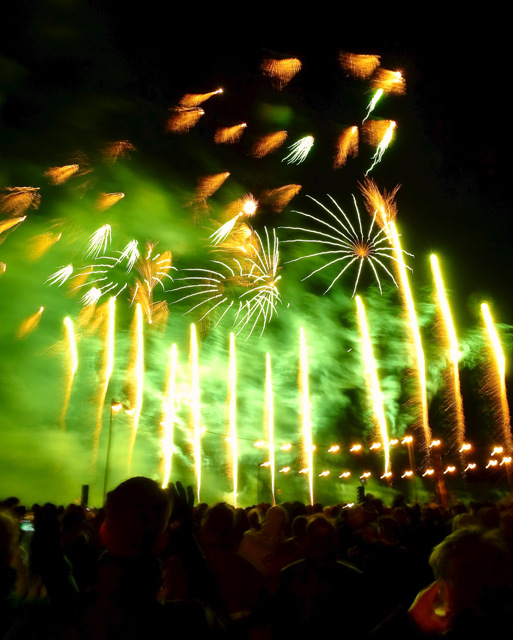 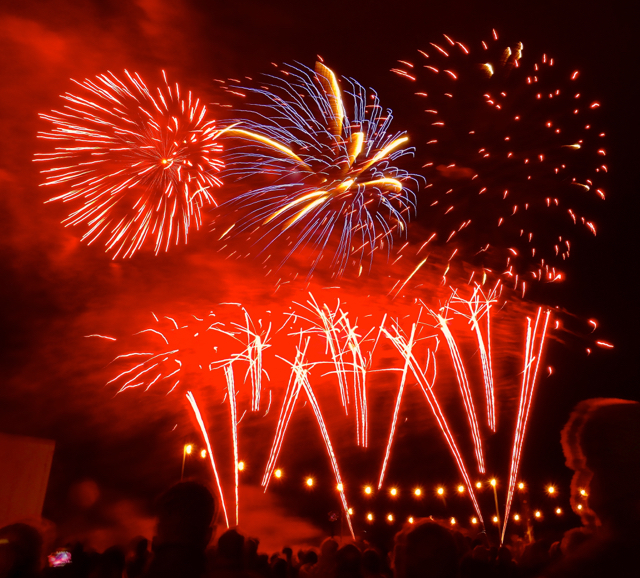 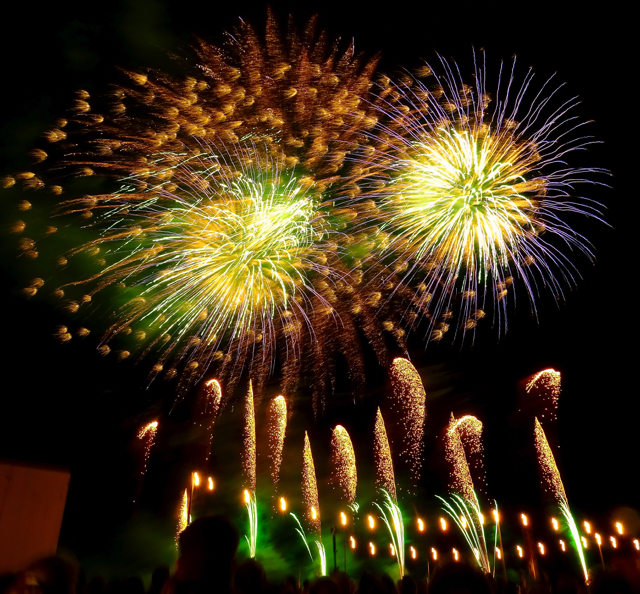 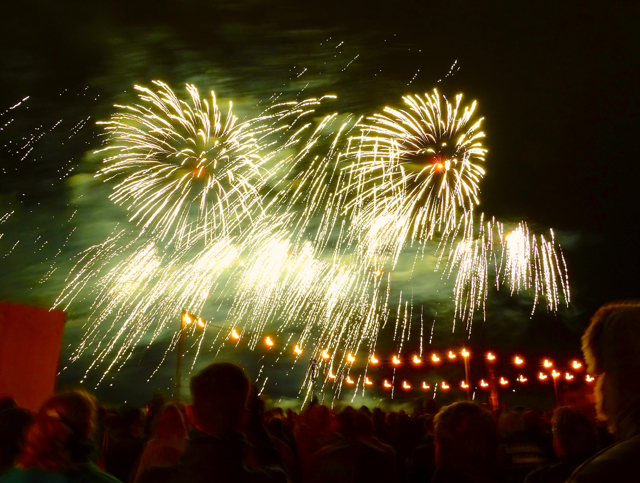 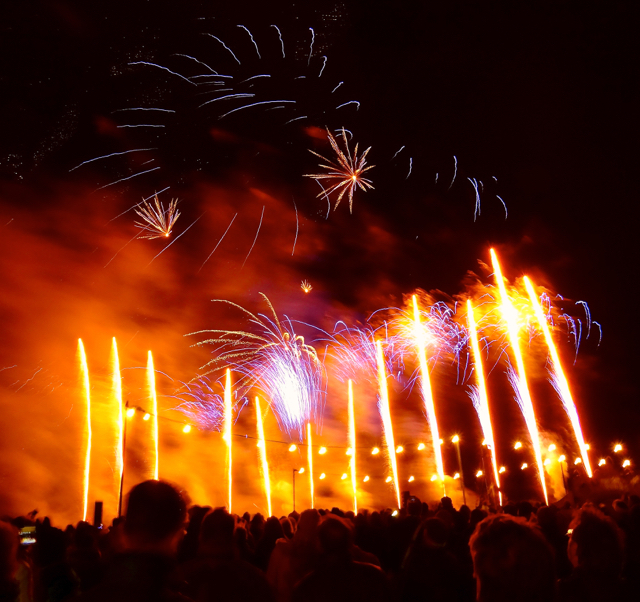 The evening finished with a most spectacular fireworks display. 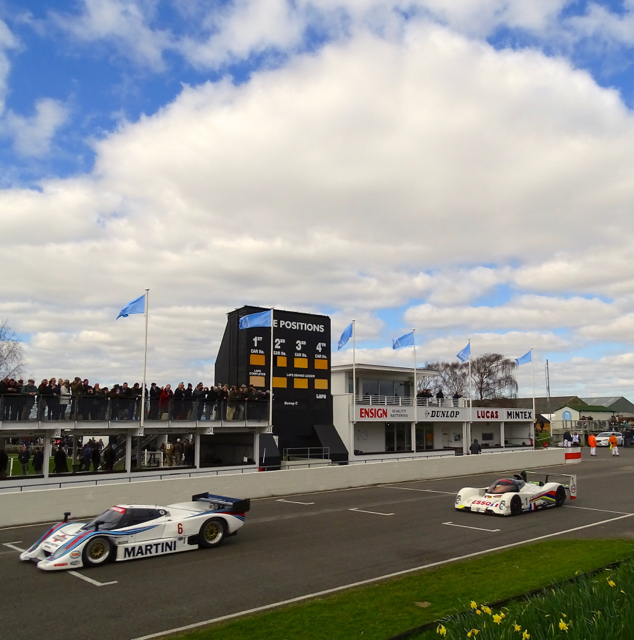 Sunday morning dawned with bright skies and less wind, making it much more comfortable for everyone. 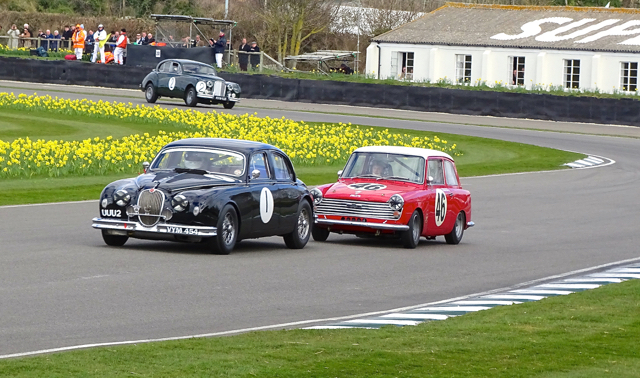 We watched the Sopwith Cup for 50’s saloons, a great battle between the Jaguar Mk1 of Andy Wallace and the Austin A40. 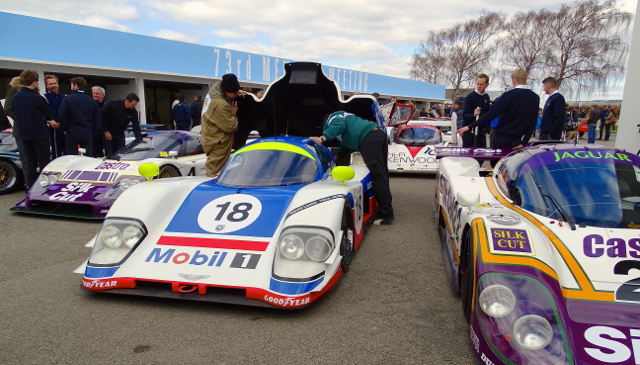 Followed by a group C demo and another wander round the paddocks. 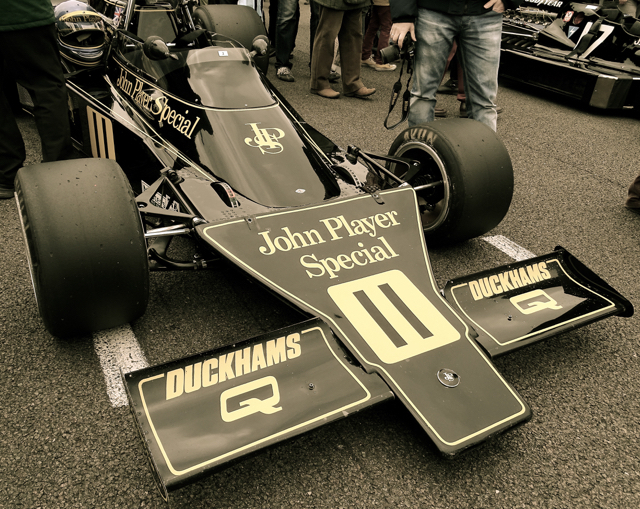 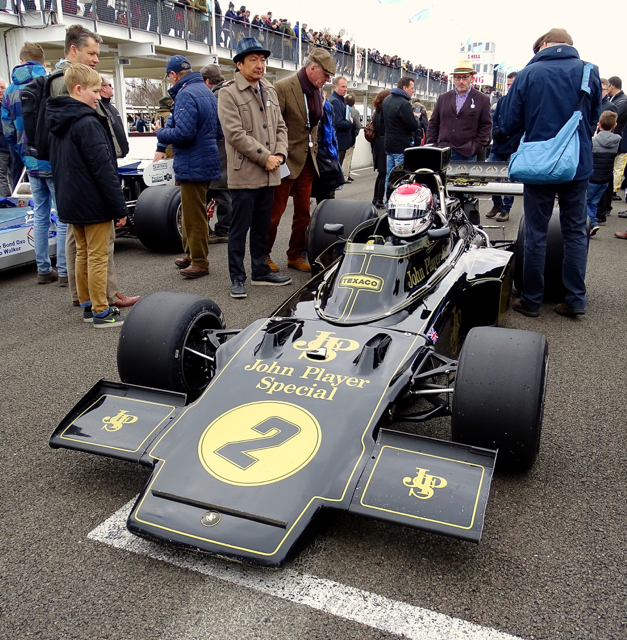 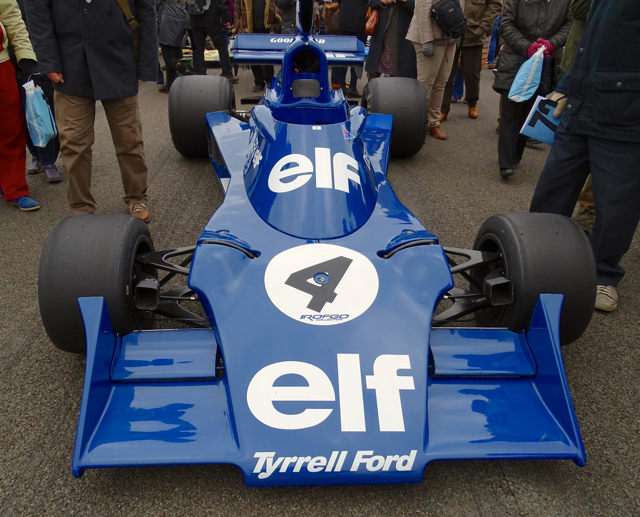 As the High-box F1’s came out for their second demo there was a public grid-walk, a great opportunity to get close to these magnificent 70’s cars that we followed in our childhood. 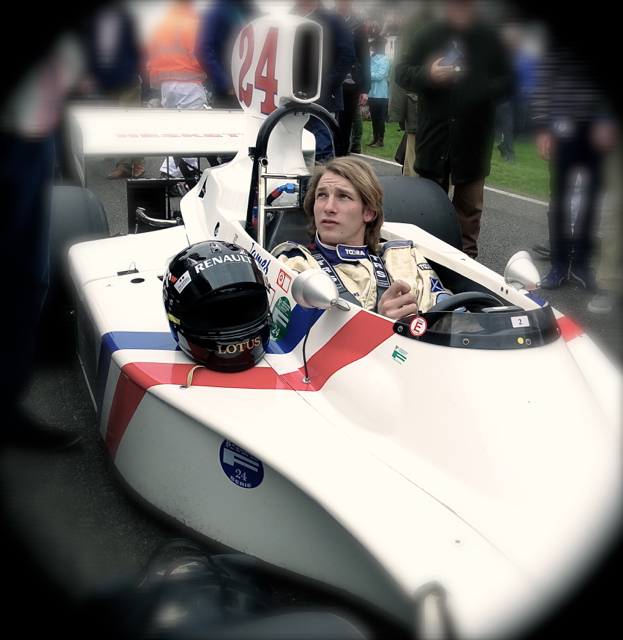 Particularly poignant were the Hesketh’s, one of which was driven by James Hunt’s son Freddie, who looks so much like the F1 Hero.